Artemis wished to create a meeting room on the ground floor and the office on the first floor using frameless glass partitioning within their converted barn. On the ground floor we installed a small bulkhead between the exposed timber beams this was constructed using two sheets of 12.5 mm plasterboard each side of a steel stud and was filled with fibreglass quilt and decorated to match the rest of the building. Once the bulkhead was completed we installed a black channel to house 10mm toughened glass frameless partitioning fitted with glass door. 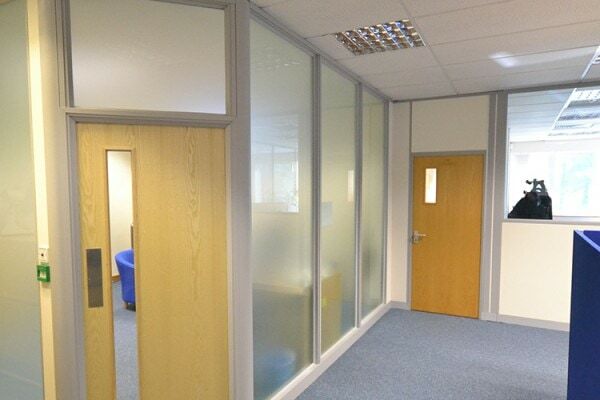 On the first floor we installed a light grey channel to the floor, walls and underside of the oak beam this was to house the 10mm toughened glass frameless partitioning fitted with glass door. 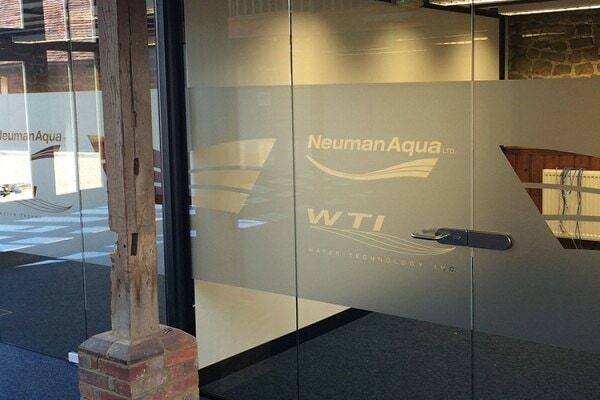 The doors were finished with stainless steel door furniture, a manifestation was installed to both frameless partition and doors featuring the company logo. In early 2015, we were looking at how to overcome some challenges in our business workspace. During our initial phone call it became apparent that we were dealing with an experienced team who had undertaken several similar projects. The nice thing was that Lee (the owner) offered a complimentary visit to our site to help us visualise some options and to get a feel for the potential project. We told him what we wanted and he was reactive and considerate to our requests. 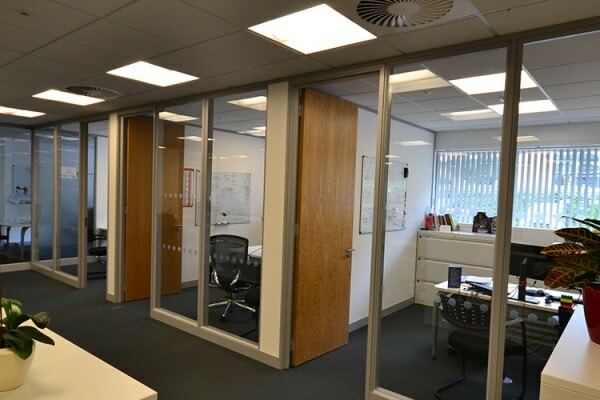 Sussex & Surrey Partitioning showed a practical approach to resolving our site problems and were not frightened to suggest alternatives and make sure deadlines were met. This was really helpful and undoubtedly added to the overall experience.